Our patrons may be a bit on the colorful side but, good times are low key and spontaneous. Take a break from the lengthier lines of the neighboring bars and enjoy a classic P.B.R. The best times of your entire night can be had at Smith's Union. We have karaoke and our own state holiday. We open at 6 a.m.! 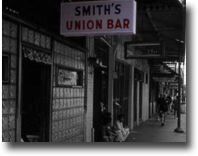 If you want an authentic Chinatown experience, come to Smith's Union, the oldest bar in Honolulu. Our beer is always cold and cheap. There is always something to see, either in the bar or the "action" on the Hotel Street. All you have to do is be friendly, strike up a conversation with one of the regulars and relax! Come for the affordable drinks and friendly service. Stay for the ukulele jams and karaoke. Our beer is always cold and cheap. 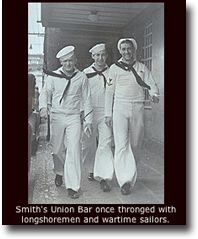 Smith's Union first opened in 1935 when the Hotel Street section of Chinatown was a red-light district and playground for merchant seamen. 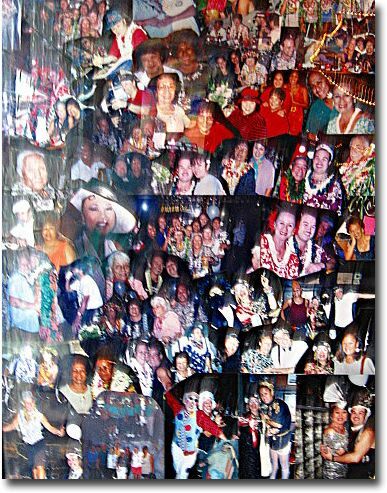 Leroy Holley, a bar operator and friend for decades to Hawaii union members, business executives and politicians. Mr. Holley, the owner since 1958, died 2003. Gail Holley,Leroy Holley's wife, died in May 2000. Joe Kopp Jay, died Oct. 20, 2006, at which time ownership of the bar passed to his daughter Chantell Jay-Pedro.